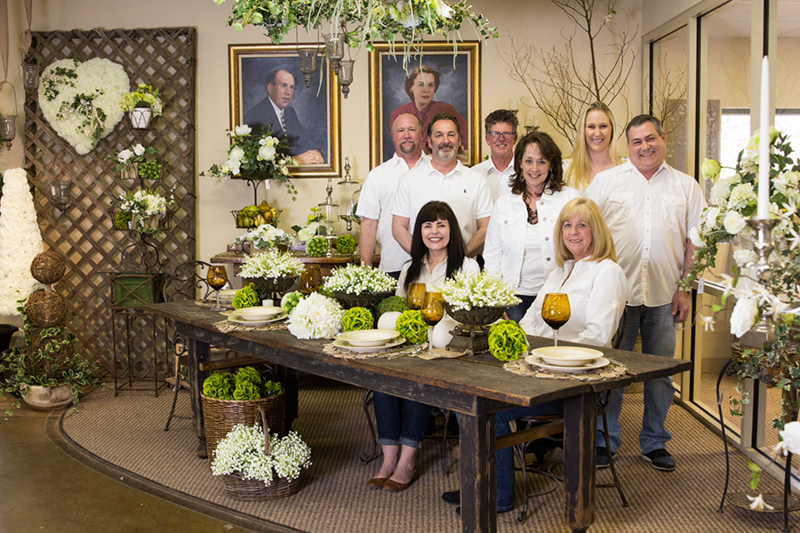 Mears Floral boasts one of the largest showrooms in the wholesale floral/supply industry. It showcases a wide variety of permanent arrangements, silk flowers, dried flowers, ribbon, balloons and containers, along with novelty, home décor, and new trending products for every season. If you haven’t experienced their showroom you are missing a shopping adventure. The home décor department is limitless. They carry fall décor, pumpkins, fall foliage, fall flowers and fall ribbon. Pre-lit Christmas trees, wreaths, tabletop décor and a wide variety of ornaments. Everything you’ve ever wanted in fall and Christmas décor from Ozark rustic to high end contemporary. Mears Floral provides products that will enhance your seasonal needs. What sets this wholesale business apart is the loyalty built after nearly seven decades of treating customers like family. Well known and well respected, Mears Floral has a long reputation of trust and true customer service among florists, designers, event planners, wedding coordinators and business owners. The Christmas season is just around the corner and Mears will begin decorating local businesses such as Justice Jewelers and Millwood Country Club. Let the Mears team help your business with its decorating needs. Mears Floral will help you create a backdrop for your greatest memories. A full-service real estate firm serving the Springfield, Missouri metro area and Branson, Missouri. Board certified plastic surgeon, Dr. Andrew Kochevar, serves as an expert in more than standard cosmetic procedures.